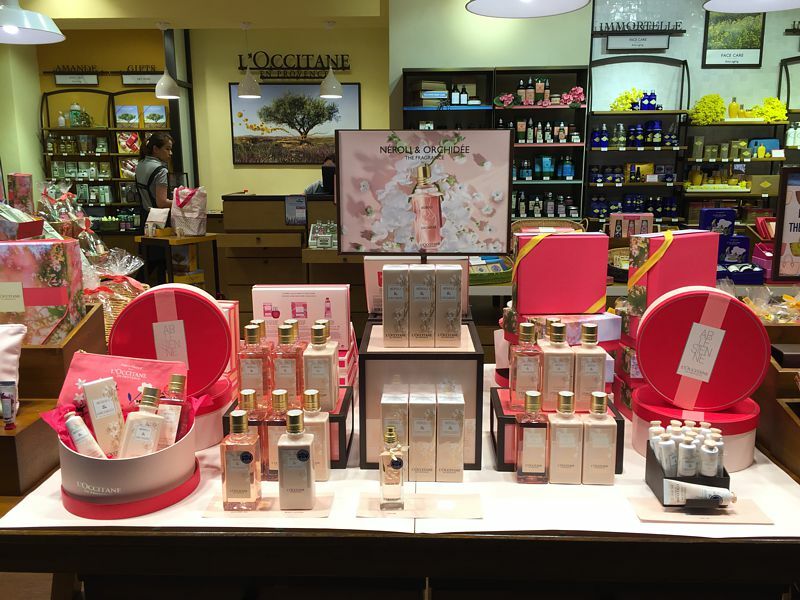 Posted in Press Releases and tagged L'Occitane on 12/05/2017 . 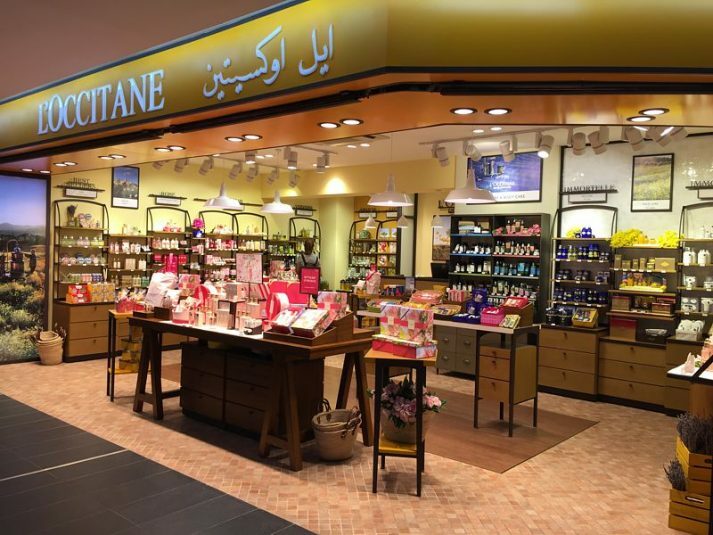 It’s going to be another busy weekend at Mabohai Shopping Complex as shoppers will be treated to two activities – the 2nd Mabohai Shopping Complex Blood Drive with RIPAS Blood Bank and A VERY SPECIAL MUM’S DAY featuring L’Occitane. 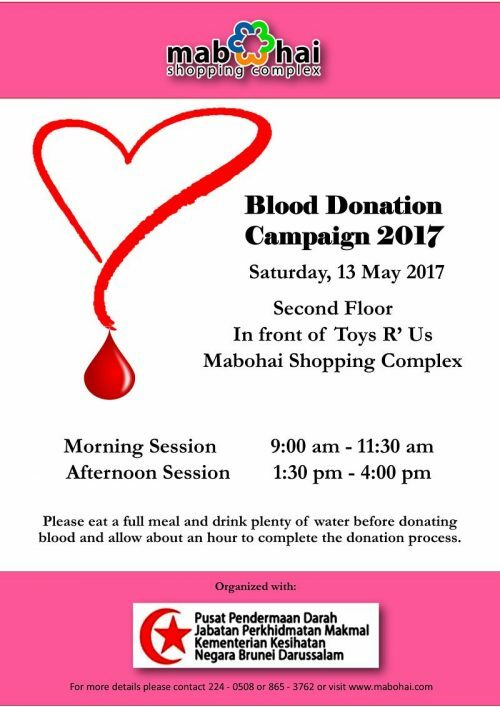 Mabohai Shopping Complex in partnership with the Blood Donation Centre of RIPAS, will hold its 2nd Blood Donation Drive for 2017 on Saturday, 13 May 2017 at the Second Floor of the Complex, in front of Toys R Us. The blood donation drive, which started in 2014, is an ongoing community service project organised with the valuable help of the Blood Donation Centre of RIPAS. In partnership with Supa Save, all successful blood donors will receive a bag of fresh fruits. On Sunday 14 May, Mums will receive a very special treat as L’Occitane organizes its Mother’s Day program – Paint Your Love for Mum. Activities include Watercolor painting, Guess the Scent and IG Photo Contests, and special VIP membership package valid for that day only. Hakim’s Homebake will have a cupcake decorating activity for the family. Nana Zee will be there with her fantastic henna work for mums and ladies to enjoy. 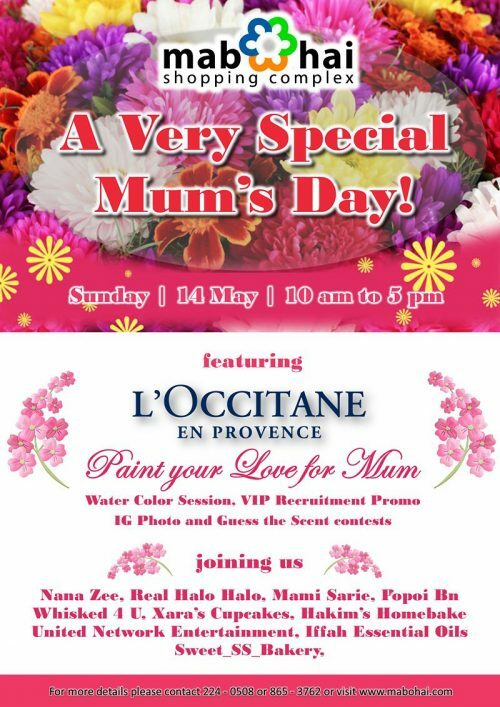 Joining the sale event will be United Network, Mami Sarie, Iffah Essential Oils, Popoi Bn, Xara’s Cupcakes and Real Halo Halo & Waffles.